Men, dress your finger in this beauty! 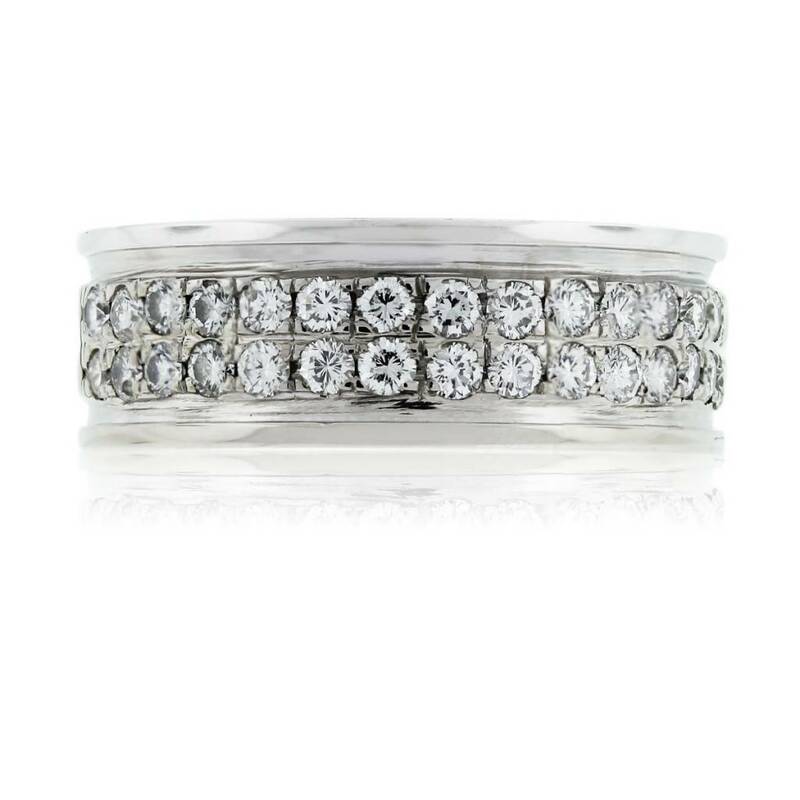 This very masculine, yet gorgeous 14kt white gold pave set diamond wedding band should be yours! With two rows of pave set diamonds weighting roughly 0.70ctw, this band sparkles from every angle! The diamonds range in G/H color and VS clarity and this ring weighs approximately 9.6grams or 6.2 pennyweight. This ring will fit a finger size 10.25 yet it can be re-sized for your needs. Show off your new engagement, or upgrade your current wedding band with this amazing ring! Take a look through our engagement ring and wedding bands section of our website and we guarantee you’ll find a matching band for your significant other! It doesn’t hurt to shine, so sparkle with love in this gorgeous wedding band! Categories: Men's Jewelry, Rings, Wedding Bands. Tags: 14kt white gold, bands, Diamonds, Gold, Mens Ring, mens wedding band, Pave Set, Pave Set Diamonds, Rings, Wedding Band.